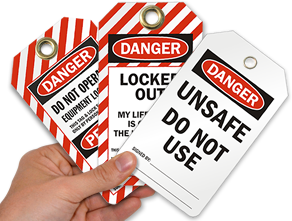 Tags have DANGER printed on the top. 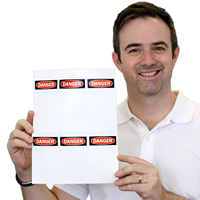 Add your own message using most any template program, such as Word, SmartSign Software, RedTag or TagLink. • Print your own tags on a laser printer. 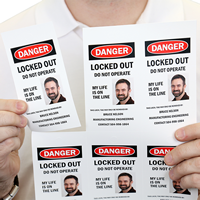 • Each sheet has 6 tags measuring 2.83" x 5.5" that can be torn off the sheet using the micro-perforations. 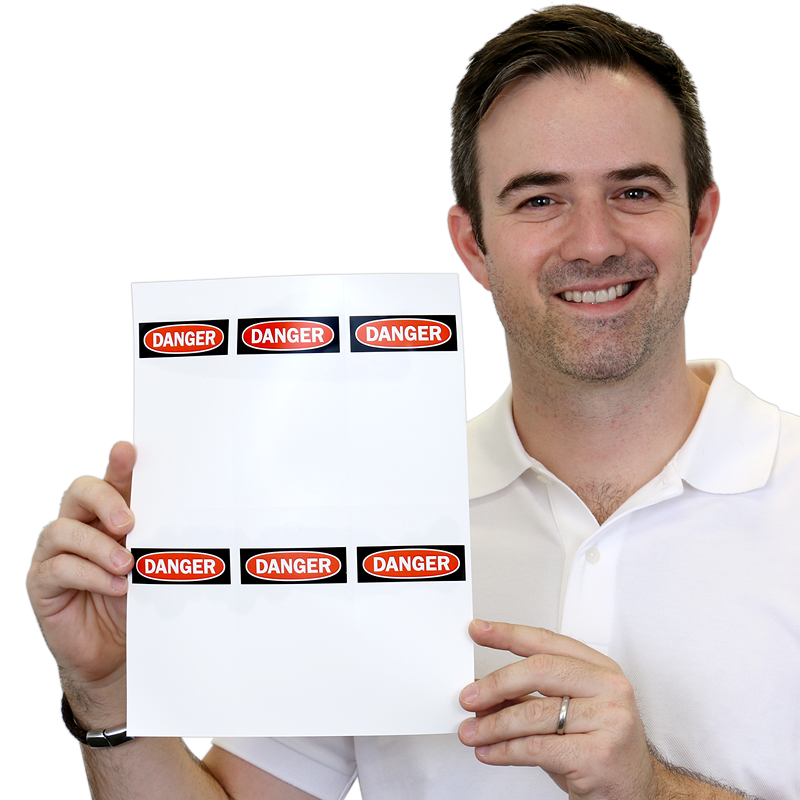 • Sheets are compatible with any laser printer or can be written on using a pencil, pen or marker. 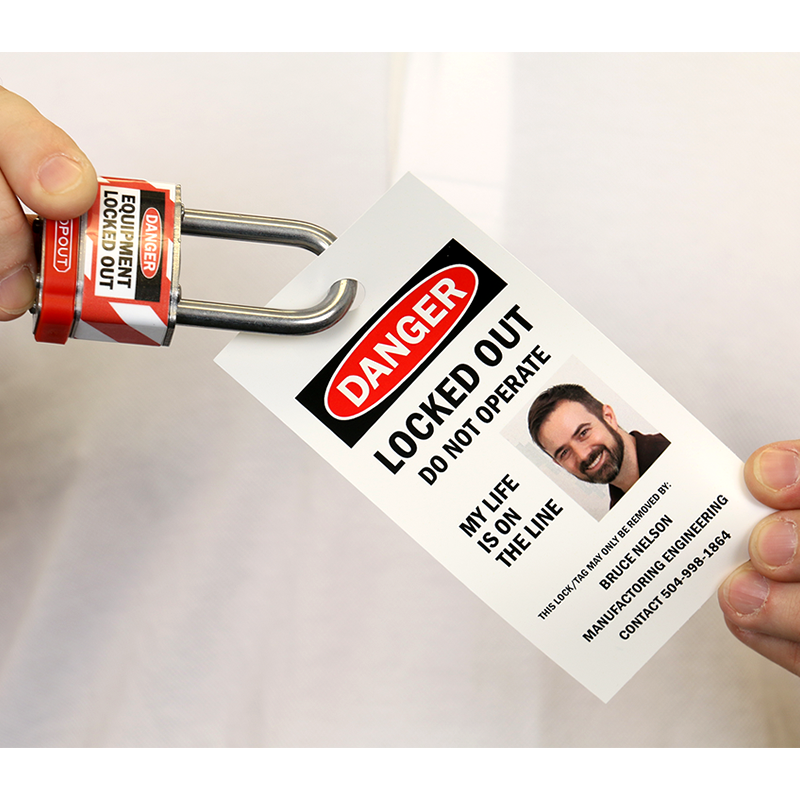 • These economy, 7.5 mil thick tags are great for lockout tags you can print on. • Allows you to print on your own laser or inkjet printer. • Waterproof, outdoor durable and works well for applications requiring weather resistance. 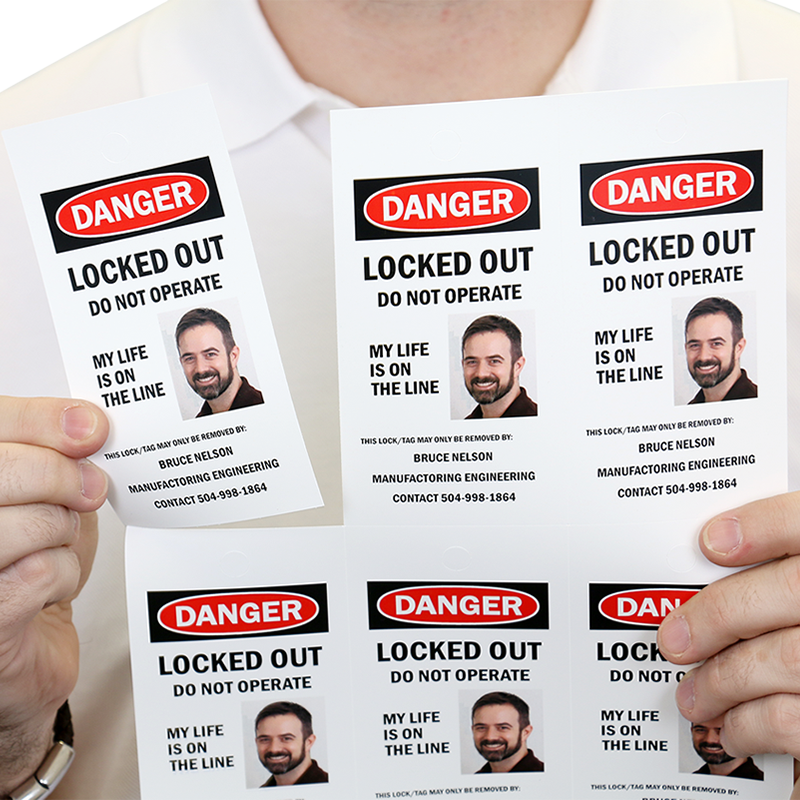 • Print quality is excellent on Plain, Heavy, Tough Paper or Cardstock printer settings. • Tags have a hole that is big enough to accomodate most lock shanks. • Tags have a pen, marker and pencil writable surface.